Do you want windows that open by pulling them up or down or do you prefer windows that open by crank out handles? How about a beautiful window that adds depth to any room? Read more to learn about our most popular window styles. It is no coincidence that double hung windows are among the most popular window styles in our community. This is the most traditional window style, not to mention the oldest. The concept dates back several hundred years and still works on even the most modern homes! But what is a double hung window? Two Double-Hung Windows with a Picture Window in the Middle. Very popular choice which gives window ventilation and access to an unobstructed view. A double-hung window is typically taller than it is wide. It opens with a single sash that lowers up and down. Modern double hung Windows feature top and bottom sashes which tilt in for easy cleaning. These windows are perfect for ventilation and complementing curb appeal from nearly any era! Maximize your glass space and let the beauty of the outdoors into your home with a Picture Window. Picture windows come in an array of sizes, although one of the most popular options is a large rectangular picture window. Commonly found in living rooms and other areas where an abundance of natural light is wanted along with a sweeping view of the outdoors. Picture windows do not open and do not provide ventilation. Often, a picture window is centered around two other windows such as a double-hung or casement window. This will provide ventilation into the home. Expand your living space while enjoying the breathtaking view that Bay and Bow Windows provide. These windows are quite large in scale and even provide a seating area! Bay and Bow Windows. Bay window (top) is different from a Bow window in that there is 3 or more windows at angled projections. One window is a different size than the other windows and often a picture window is in the middle, usually with 2 smaller windows on either side. Bow windows are all the same size stacked next to one another and usually has four or five windows. Bay and Bow windows both extend beyond the exterior wall and often are used as additional seating area. Casement windows are a standout option for traditional homes. 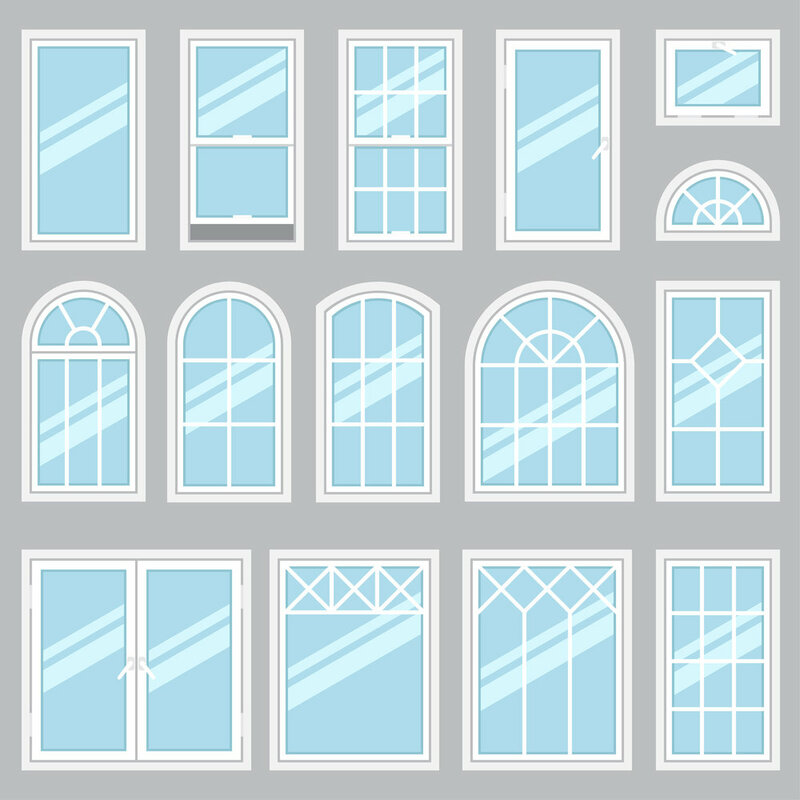 These windows are shaped similarly to double hung windows but differ in terms of function. Their sash opens with a crank-out handle, making it unique from any other window type. They are easy to operate, secure, and always look beautiful. 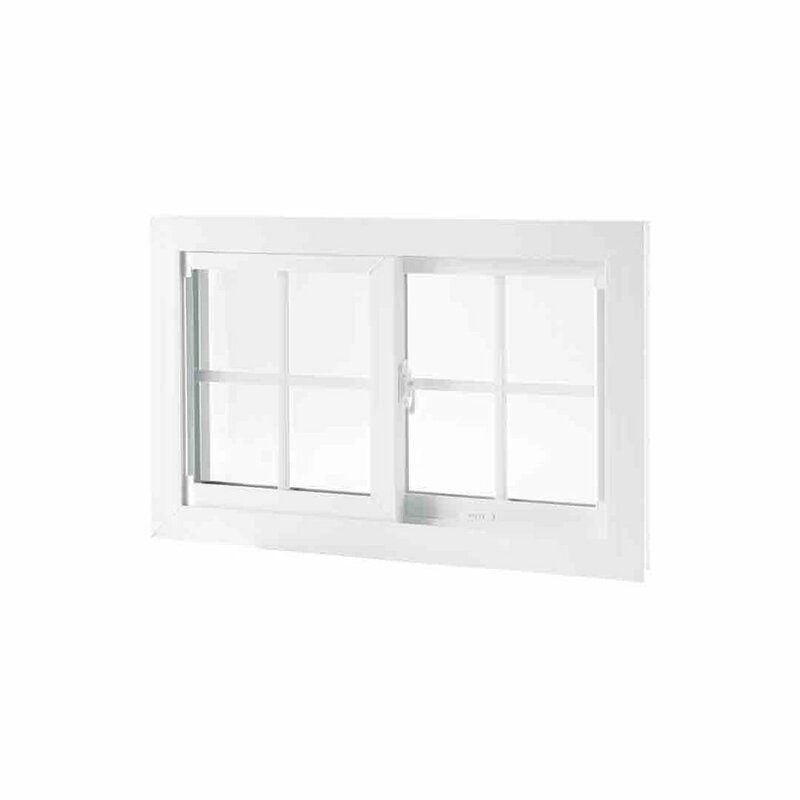 Casement, Awning, and Hopper windows have crank opening and closing. 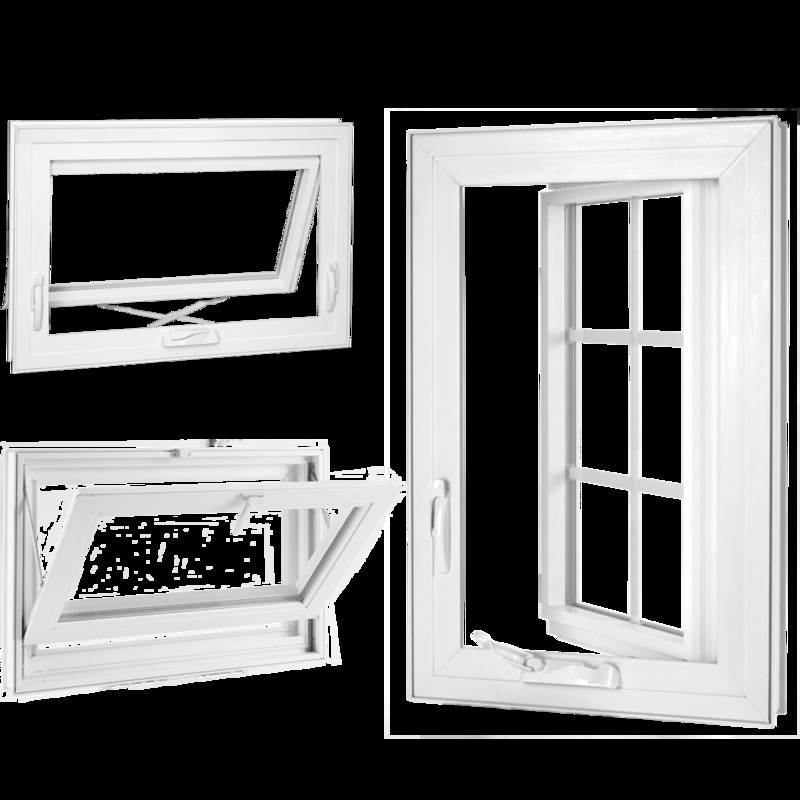 Very popular, the sliding window is easy to operate and slides open and closed. Easy to clean and provides a great view along with ample ventilation. Sliding Windows is like a double-hung window on its side. It offers great ventilation. You’ll find geometric windows in some of the most unique homes in Fort Wayne. Non-traditionally shaped windows are available to fit your unique home. These windows give your home a unique touch in terms of style and charm. Choosing the right home window for your home is important. The experts at Universal Windows Direct of Ft. Wayne are here to guide you through the process and provide the highest quality installation. Please check out our reviews. Your Window installation is very important to the long-term success of your window project. Our windows are custom made for your unique home. Homes settle over time and incorrect installation can result in inefficient and drafty windows. Our windows are made from quality vinyl, never weak recycled vinyl. We stand behind our products and prove it with our Lifetime Plus 30 Year Window Warranty. This covers you while you live in the home and the next home owner for 30 Years. Not only protection for you, but if you ever decided to sell your home a great selling tool. Contact us for a free consultation and we will have you saying “I Love My Windows”.